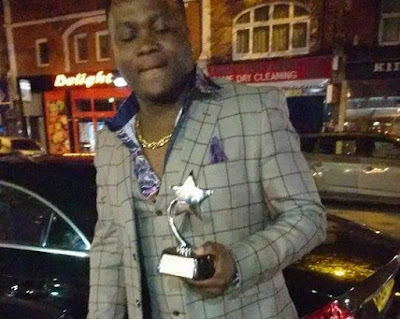 UK-based Ghanaian singer Samuel Amuzu known in showbiz as Anda Da Rida has been awarded the Best Upcoming artiste at the just ended Ghana Music Awards UK 2017. The awards which took place in the United Kingdom was attended by key Ghanaian music players based in the UK. Speaking to the media after receiving the award, Anda Da Rida expressed his gratitude to the organisers, hoping to blossom in the coming years. “God has been so good to me,” Anda Da Rida averred. He noted working with some of the big names in the music industry has paid off. “I’ve worked with most of the big Ghanaian musicians such as Castro, Bollie, Nana Ywa from Double, Guru, Paa Kwase from Double, Dr Cryme, Gassmila and many more,” he added.